MainAll NewsForeign AffairsHaley at the UN: Is the hatred of Israel so strong? 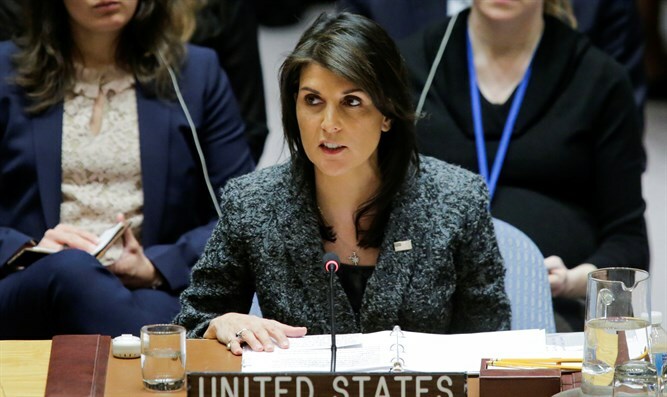 US-backed resolution condemning the Hamas terrorist organization fails to receive two-thirds majority and thus is not approved. “Is the hatred of Israel so strong that you will defend a terrorist organization, one that is harming the Palestinian people? Isn't it time to let that go? For the sake of peace and the sake of this institution I respectfully urge my colleagues to this resolution,” she added. Before the vote, Saudi Arabia said it planned to vote against the resolution condemning Hamas, explaining that issue is the “Israeli occupation”. Iran’s envoy also spoke before the vote, claiming Iran would vote against the resolution because “Hamas is a legitimate resistance movement of the Palestinian people”. Hamas had been trying to convince the UN to vote down the measure. Last week, Hamas leader Ismail Haniyeh wrote directly to UN General Assembly president Maria Fernanda Spinosa, in response to the US and Israel's efforts against Hamas in the UN. This week, Hamas received surprising support from its longtime rival Fatah, which is headed by Palestinian Authority chairman Mahmoud Abbas. Abbas Zaki, a member of the Fatah Central Committee, condemned the American resolution and described it as a "clear racist decision". On Monday, US special envoy Jason Greenblatt slammed the PA for defending Hamas, calling its actions “beyond absurd”.